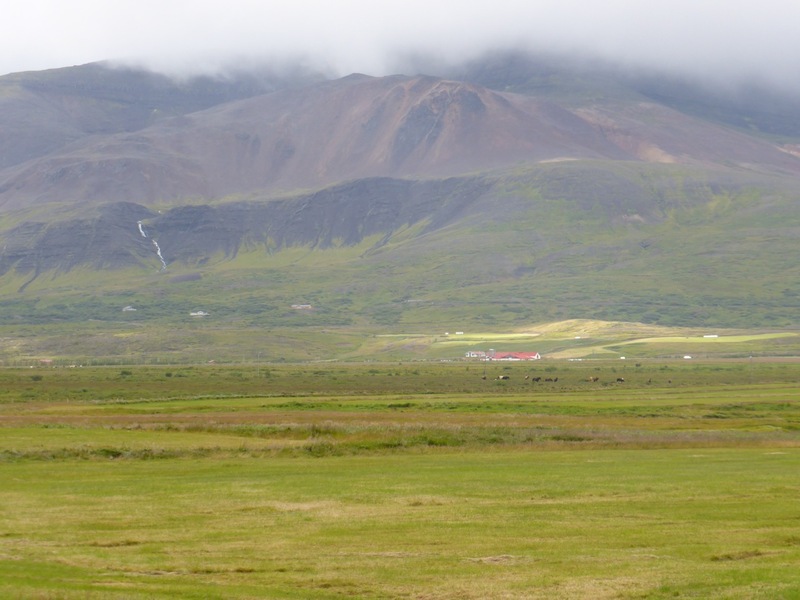 Inland from Borgarnes lies some of the best farmland in Iceland, and as you might expect, this also made it the home region of a number of important saga characters. I was staying with a colourful young Icelandic man who I had found on couchsurfing.org. He was a native of the region, and he took me out the next day to visit some of the most interesting places in the valleys to the east of Borgarfjörður. 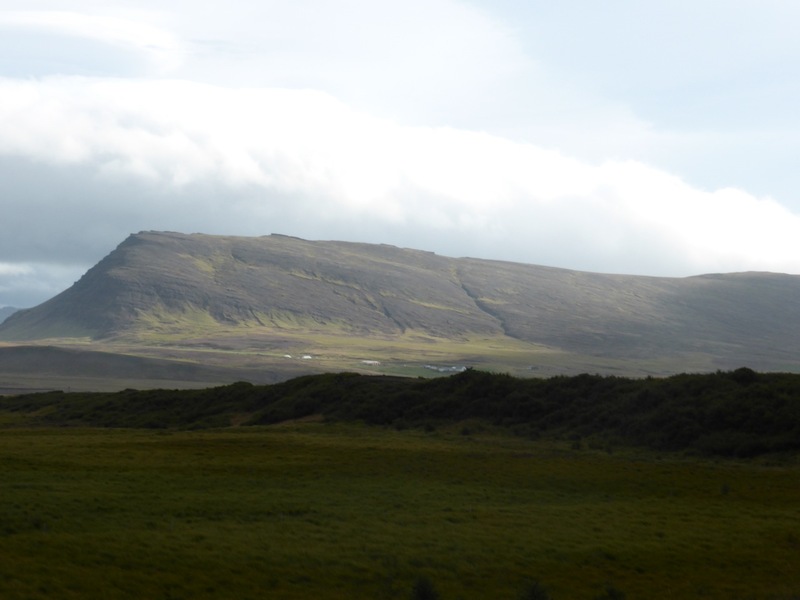 First, by my request, was the farm called Indriðastaðir, where the brother-in-law and sister of Hord (of the island Geirshólmi in Hvalfjörður) lived, according to the saga. Hord wasn’t on the best of terms with his brother-in-law Indridi, and in fact Indridi was one of the leaders of the group that finally killed Hord and the outlaws. This was fair enough really, as he and his neighbours had suffered from the depredations of the outlaws for a long time. Although Hord was sometimes disloyal to the outlaws so that he could help his sister, her husband was one of the main chieftains in the area, and inevitably there came a time when Hord could no longer stand between the two forces. He was with the outlaws when they walked over the ridge from the south one night, planning to catch Indridi unawares and burn his house down around him. Fortunately Hord’s sister foresaw the attack in a dream, and told Indridi to redirect the nearby stream so that it filled the house with water and would not burn. I wanted to assess the plausability of this strategy, and sure enough, two streams still flow down the mountainside behind the farm. If this doesn’t make the story likely, it at least makes it possible. Throughout these conflicts Hord and his sister Thorbjorg remained friends, and when the local chieftains gathered to plot the destruction of the outlaws, Thorbjorg rode to the gathering and declared that she would see dead the man who killed Hord. This Thorbjorg later accomplished, and she was also able to protect Hord’s wife and sons when they came to her after swimming to safety from the island. Our route led northwards across the mouths of several valleys, the good farmland alternating with rougher moorland where the ground was higher. 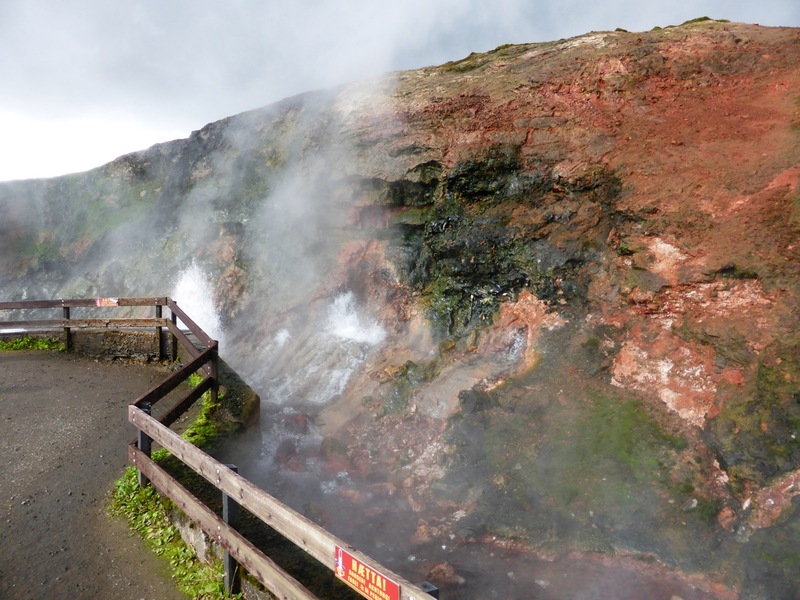 We stopped at Deildartunguhver, where the biggest hot spring by volume in Europe produces an incredible 180 litres of boiling water every second. 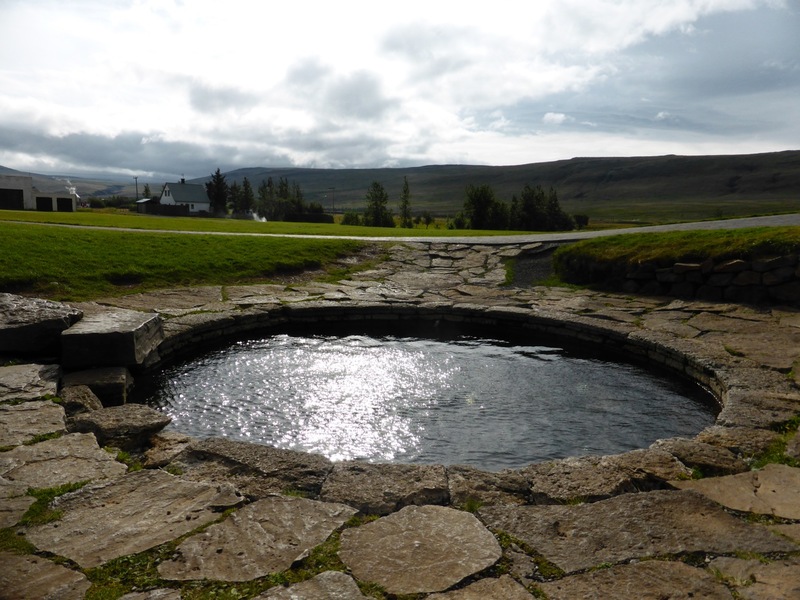 This single spring provides hot water to the towns of Hvanneyri, Borgarnes and even to Akranes over seventy kilometres away, as well as everything in between. It also heats several greenhouses locally, producing large quantities of tomatoes. 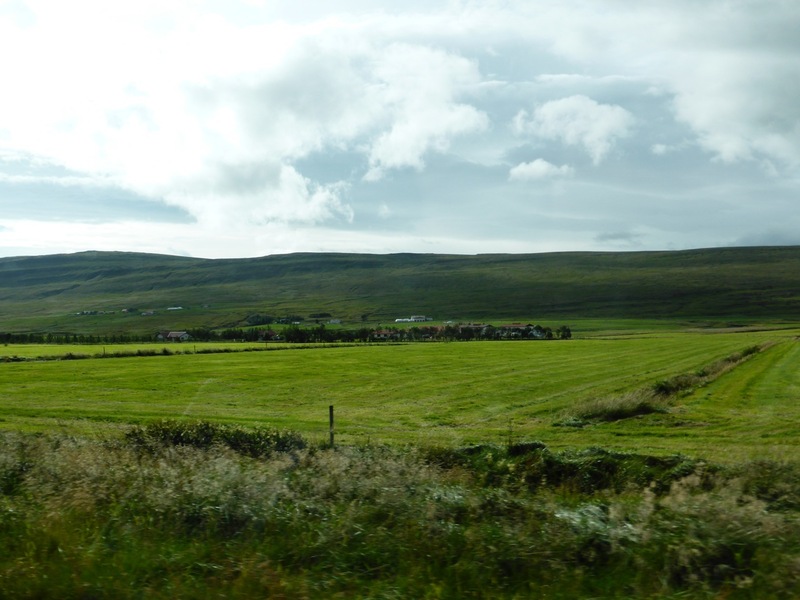 East of Deildartunguhver is the settlement of Reykholt, where Snorri Sturluson lived. Snorri is one of the few medieval Icelandic authors about whom we know anything. He and his family were the most important Icelanders of their time, the twelfth and thirteenth centuries, and feature in a contemporary saga of their own, Sturlunga saga. Though for much of his life he was deeply involved in Icelandic politics, Snorri is today most famous for writing Heimskringla (a history of the kings of Norway) and the Prose Edda, a guide to writing poetry that recounts many of the myths of Norse pagan religion. He is also thought to have written our old friend, Egil’s saga. 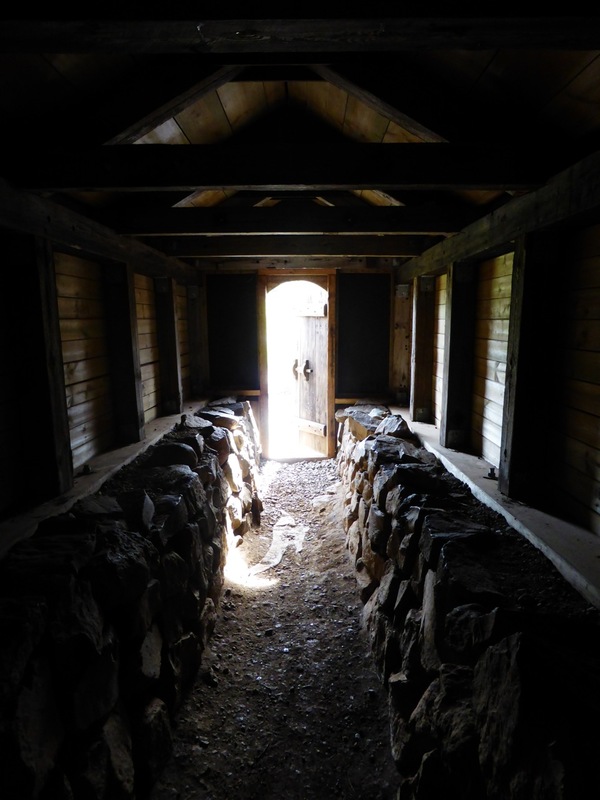 In the end politics (and specifically the enmity of the Norwegian king) caught up with Snorri, and the old man was murdered in a cellar passage beneath his house. 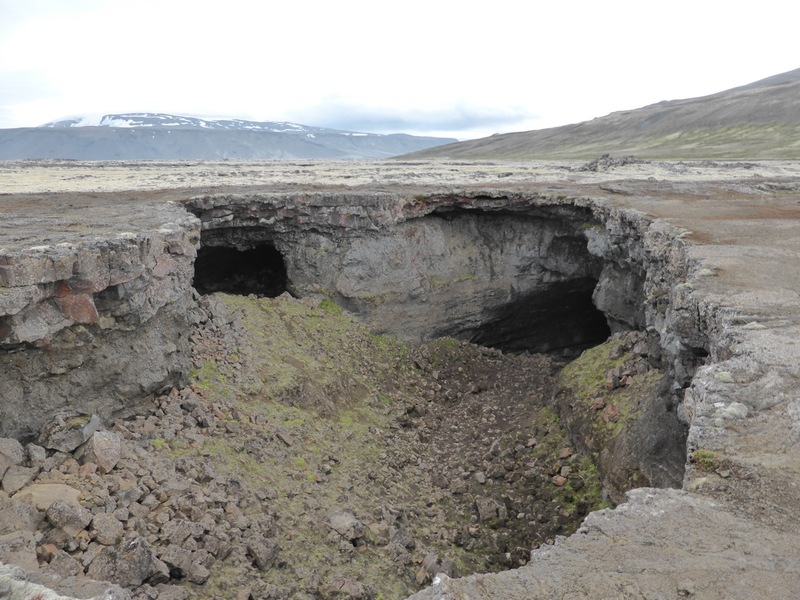 Snorri usually used this passage as a route to the stone-lined hot pool in his garden, and both pool and passage have survived in one form or another to this day. Gunnlaug: I said what I thought fit, that you should not call curses down on me, but should pray more effective prayers for yourself. Earl Eirik: (Menacingly) What should I pray for then? Gunnlaug: (Boldly) That you don’t meet your death in the same way as your father Earl Hakon did. Earl Hakon had been murdered by a servant while hiding in a pigsty! Earl Eirik turned bright red and ordered Gunnlaug’s immediate arrest. Only the intercession of a friend at court preserved Gunnlaug’s life long enough for him to get away to England, where he had better fortune with King Ethelred. Tragically, Gunnlaug was so busy being a success that he failed to return to Iceland in time to honour his engagement to Egil’s granddaughter, the beautiful Helga. Her father agreed to marry her to another poet who Gunnlaug had insulted when they had met previously abroad, and when Gunnlaug finally returned to Iceland the rivals fought a series of duels that ended in both their deaths. 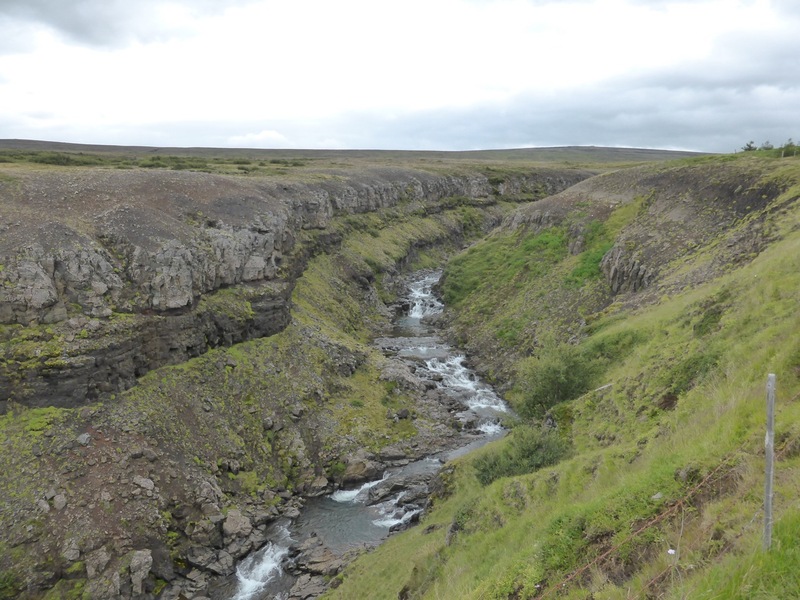 The farm of Gilsbakki is situated high up on the valley side, looking out over the last part of a great lava flow which extends a long way inland. 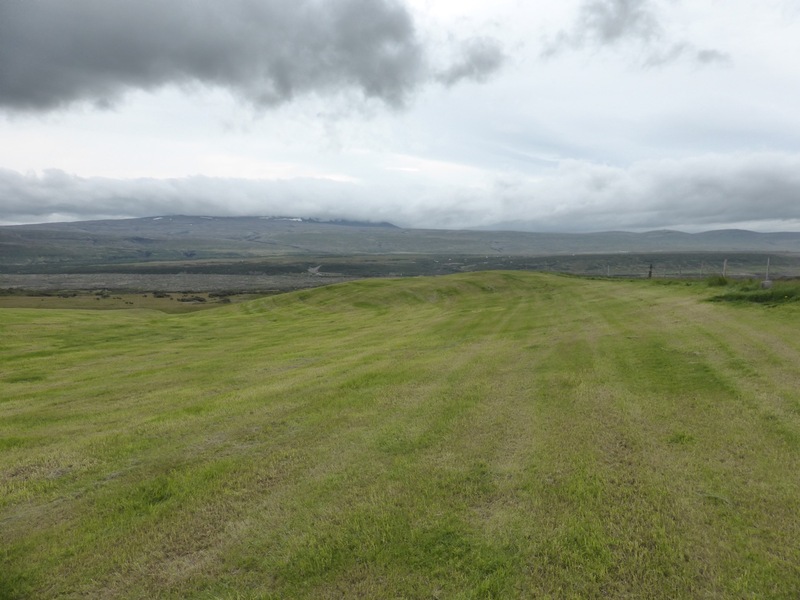 There was no sign of Gunnlaug there, but my host directed me to a mound in a field above the ravine for which Gilsbakki is named, said to be the burial mound of Gunnlaug’s more prudent older brother. 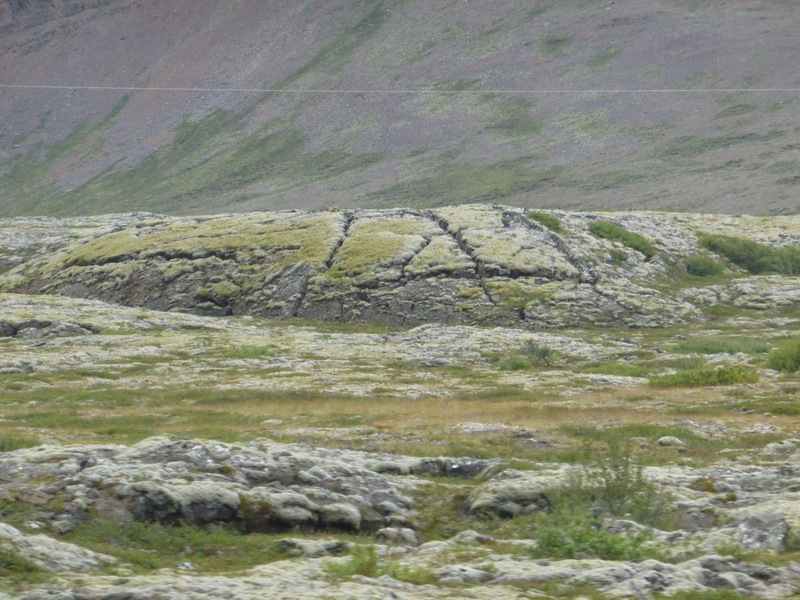 Gunnlaug’s brother was an important chieftain, and therefore worthy of a large burial mound – but he was also a Christian, and so should have been buried according to the Christian tradition. So who is really in the mound? Or is this an example of early Christian and pagan practices being mixed? What is interesting is that the historical fictions of the saga and its characters are treasured and remembered, despite their improbabilities, in the way people today experience the landscape.